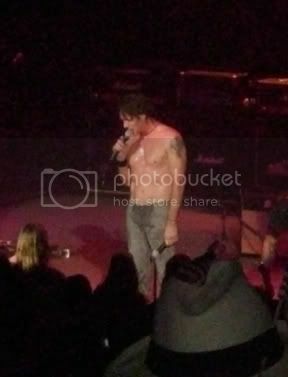 On Sunday evening, July 12, Rick Springfield played the Pacific Amphitheatre as part of the Orange County Fair, known as the "OC Fair" for short, in Costa Mesa, California. The weather throughout the day was extremely warm - but as the sun set the temperature cooled down to a beautiful night for an outdoor concert. This was my 9th time seeing Rick in concert, and as always he didn't disappoint. The show was full of energy and moved along at a very quick pace. 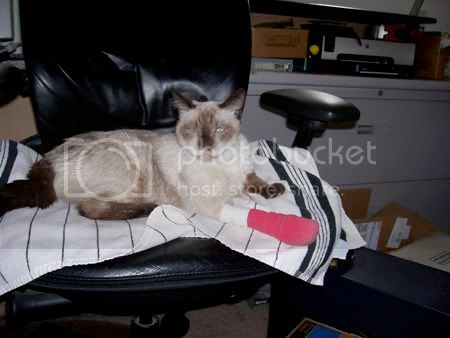 Squeaker is a 20 year old Siamese - my wonderful baby boy. He is FIV positive - which means he has kitty AIDS. About 2 years ago our fight with Cancer began when he was diagnosed with a rare type of localized skin cancer in his foot. Well... yesterday I selected my picks for the Tony's as I do every year - and again, this year I didn't fare well up against the actual winners. But to be fair - there were some surprises. I never expected "God of Carnage" to win. With all the positive press that "reason to be pretty" received, I figured it was a shoo-in. Same with my pick of "9 to 5" with best score. I figured the winner would be that or Billy Elliot. But "Next to Normal" took home the trophy. I love Angela Lansbury - and should have figured they would take the opportunity to honor here by giving her the win seeing this may be one of their last chances to do so. But Marin Ireland received some awesome reviews in "reasons to be pretty." Current Music: The soundtrack to "Hair"
I love the soda - and the commercial! Sebastian Roche Movie Review - "Earthsea"
With Sebastian Roche (Jerry Jacks, GH) back on General Hospital, I decided to review a movie of his from awhile back. Here goes! Earthsea was originally a mini-series on Sci-Fi channel. Sebastian plays King Tygath, an evil man trying to take over Earthsea. Earthsea is a world of a thousand islands and a vast ocean. The plot of the movie is that the young blacksmith Ged, a budding wizard mentored by the Ogion (Danny Glover) is on a mission to preserve peace of the colonies of Earthsea, and protect the land from the evil King Tygath. Ged, along with the help of priestess Tenar and High Priestess Thar (Isabella Rossellini), they ultimately prevail over Tygath. After 72 years, CBS has decided to pull the plug on Guiding Light. It all started in radio in 1937, and made the transition into television in 1952 - and was the serial drama that the term "soap opera" was born from. Guiding Light was more than a television show - or a soap opera - it's a piece of Americana. Rumors say that Proctor and Gamble, who own GL, are shopping around for a new home. Let's hope that they can figure something out so the light can shine past it's September 18th date of demise. Here's one of my favorite memories from Guiding Light - 1991 - when the late, great Beverlee McKinsey shined as Alexandra Spaulding. Movie Review - "Never Get Outta The Boat"
With Sebastian Roche (Jerry Jacks, GH) appearing on "24" the last 2 weeks, I decided to review a movie of his from awhile back. Here goes! The official summary according to IMDB: "The story of young men whose recovery from drug abuse hangs on their self-management of a gritty L.A. rehab center." Sebastian Roche plays Soren Dresjac. Soren is a married rock superstar who's wife is pregnant and is tired of his party lifestyle. Soren had been through rehab 22 times - and always relapsed. Sebastian's first scene shows Soren (shirtless and tatooed!) in a hotel room, tripping out, throwing furniture off the balcony. He is brought to a hospital to detox, and then assigned to live in a run down men's "sober home" for recovering hard-core addicts in Los Angeles. The detox scenes were very graphic and realistic. The scenes at the half-way house were also extremely graphic, showing day to day living with an addiction. The dialog in the film was authentic - and harsh. This movie is not for those who object to strong language. The movie follows the lives of the men living in the home, and their interactions with each other. As all of the men are recovering addicts of varying degrees, the movie realistically show each man's fall from grace, and climb back into society. Once Soren moves into the house, he bonds with a couple of it's residents. But when life gets tough, Soren and one of the other residents named Cesar, go on a binge, and Cesar OD's. Soren and the other residents then have to deal with the consequences of their actions. There were some very intense scenes - really pushing the limit. Sebastian was very belieavable in the role - almost natural - as a chain smoker, doing drugs, fighting with his wife, and having the "rock star" better than the rest attitude. The viewer sees the complete cycle of character on every level - physical, sexual, emotional, moral, ethical. Sebastian shows multi-dimensional raw emotion - and it is very powerful. Sebastian had an accent in the film -- but it was not his normal voice. It was harder, and difficult to explain. His look was gruff and rough - complete with facial hair, and his hair was a little longer (similar to when Mr. Craig first arrived), and a lighter shade of blonde. John Cusack was an Executive Producer and Director on the film. Alley Mills (Pamela on Bold and the Beautiful and Norma on the Wonder Years), Darren Burrows (Ed on Northern Exposure), and Shawnee Smith (Linda on Becker) were also in the cast. If you have experience in addiction, or know a recovering addict, the reality of this movie will hit home. The film has an independent look to it - odd camera angles and effects give it a low-budget feel. But overall -- I would recommend the film. If you are looking for a "Jerry Jacks" type of character - this is far from it. But Sebastian gives a compelling and realistic performance worth viewing. On a scale of one to 5 stars - I give this film 4 stars. 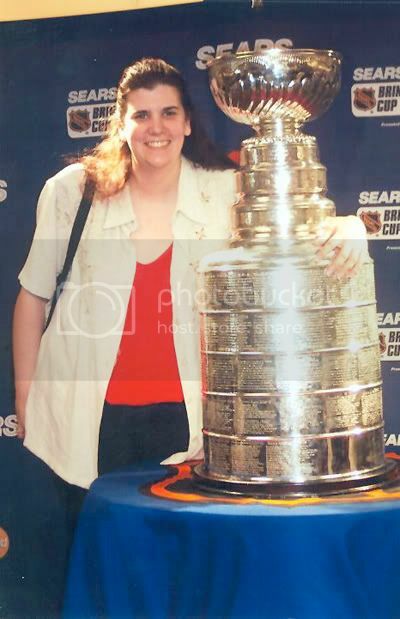 A couple of years ago (2003), I had the opportunity to actually see, touch and have my photo taken with the Holy Grail of hockey -- the Stanley Cup. It was on tour to the cities of the teams that were appearing in the finals -- and the Anaheim Ducks were in it to win it (but ultimately lost it to the New Jersey Devils) that year.